EDMONTON - Internal government reports say Alberta will have to expand its wolf kill to protect more threatened caribou herds living on ranges heavily disturbed by industry, despite official assurances that no such measures are planned. Observers say the documents — obtained by The Canadian Press under freedom-of-information legislation — represent the true state of affairs as the province prepares to release range plans for its northern foothills. They say any credible new plans will inevitably follow the recommendations to kill more wolves. "If you're serious about caribou conservation, you're going to have to have some stop-gap measures in place to buy time," said Stan Boutin, a caribou biologist at the University of Alberta. "The only stop-gap measure the government has currently entertained is the wolf removal. How they think they can distribute a plan that doesn't have a short-term solution in place seems absurd to me." Alberta has killed almost 1,000 wolves since 2006 on the range of the Little Smoky herd, a small group of caribou in west-central Alberta. The herd's range has been about 95 per cent disturbed by industry, leaving the caribou increasingly exposed to wolf predation. Three other nearby ranges are in similar states with disturbance rates from 50 to 95 per cent — far higher than federal guidelines for usable caribou habitat. Energy leases are still being sold on those ranges. Forestry also continues. Plans for the four areas are expected early this spring, said Alberta Environment spokesman Duncan MacDonnell. The Little Smoky plan is already a year late and a federal deadline of 2017 for all of Alberta's caribou ranges is looming. The government knows the world is watching. "Avoiding the loss of caribou populations will be important to retaining the social licence and avoiding legal challenges and market action campaigns related to continued industrial activities within caribou ranges," says a 2012 briefing note in the material obtained by the news agency. Scientists say it'll be generations before those four landscapes recover. Poisoning wolves and shooting them from helicopters is the only way to keep caribou around until they do. The province has consistently said it will not extend the wolf kill to new caribou ranges. "It's not being delivered anywhere outside Little Smoky and there are no plans to do so," said MacDonnell. But the documents show the move was being considered as early as 2010. "It is recommended that the Little Smoky method form the basic approach for achievement of near-term caribou population goals in other caribou ranges," concluded one report from February 2013. That document also considers alternatives such as penning pregnant cows until they give birth, sterilizing wolves, leaving out moose carcasses for wolves to eat, trapping wolves and penning off large areas of caribou range. 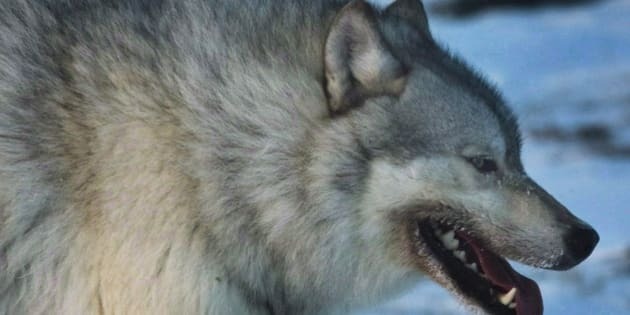 Only killing lots of wolves reduces enough predators to make a difference, it said. "No other techniques can be advanced as practical or effective at this time," it said. "Due to the extent of habitat change on many caribou ranges and the time required for habitat recovery, effective reductions in predation pressure on caribou populations is needed in the near-term, if caribou populations are to persist." Moreover, industry expects the wolf kill to expand, the report said. "Many representatives of industrial companies currently assume that the Crown will extend this approach to other caribou ranges." The report said plans to expand the wolf kill were being developed, although hadn't been completed. The proposal was considered, then dropped, said MacDonnell. "It has been under discussion, but it's not being delivered anywhere else, and there are no plans to do so." The 2013 report acknowledged wolf kill programs are unpalatable. "All techniques for reducing mortality rates on caribou are likely to attract some public criticism." But observers don't see how Alberta can preserve the herds — a federal requirement under the Species At Risk Act — without killing more wolves. "Some predator control will be necessary," said Carolyn Campbell of the Alberta Wilderness Association. "I don't believe they're not going to expand the program." Habitat preservation and restoration remains key, she said. That's the only way the fragile support of environmentalists for the wolf kill can be maintained. "Hopefully it can be done humanely, in a principled way. And that means with a first focus on habitat, not just scapegoating predators."